Whether you’re eagerly looking forward to retirement or dreading a life without work, the end of your career is inevitable. For many people, the moment a job of many years ends is a bittersweet yet joyous occasion, but for others, this initial happiness may soon be overshadowed by regret. Planning for retirement isn’t exactly a science, but inadequate preparation can lead to negative emotions after making the decision to retire. While it’s not possible to anticipate everything that may arise once you close your office door behind you, acknowledging these top seven retirement regrets now can help make sure that the last decades of your life will be smoother sailing. Social Security is a wonderful asset that provides much-needed support during retirement, but it isn’t the means to an end. The average Social Security payment per individual is around $1,300, a figure that is likely far below your previous salary. While Social Security can be a nice source of extra income, it shouldn’t be relied upon to fund a retirement for those unwilling to sacrifice a current standard of living in exchange for a bare bones lifestyle. 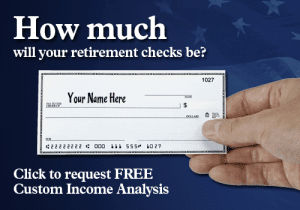 RELATED – Will Social Security Be Around When I Retire? Healthcare can prove exceptionally costly, even for those who think they have ‘good’ insurance coverage. 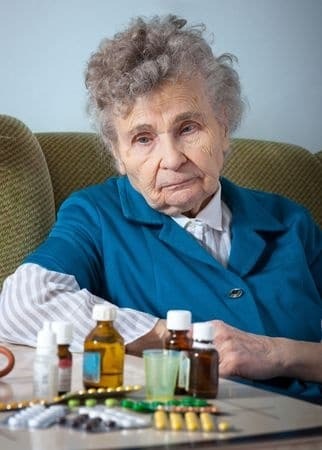 Medicare is a valuable tool for seniors, but many people do not realize the out of pocket expenses that come with Medicare. The cost of uncovered medical care can add up quickly if you’re not prepared with adequate savings or a Medigap policy. Underestimated healthcare costs can quickly eat into your retirement accounts and use up money you had earmarked for other things. When you start saving early in your career, it’s easy to assume that your investments will grow as you expect and everything in retirement will be covered. Unfortunately, this isn’t always the case. Without proper planning, a proactive asset allocation, and an appropriate level of risk, many retirees find themselves with investment accounts that haven’t performed as anticipated. Working with a professional can help alleviate this stress, making it more likely that your savings strategies will pay off in retirement. One of the biggest advantages of retiring is gaining enough free time to do the things full-time employment always prevented. Retirement traveling is often a priority for new retirees, who now have the time to visit the places they’ve always wanted to see. Some seniors, however, hold off on big travel plans, waiting to see how retirement savings will play out and evaluating potential health risks that could interfere with an expensive trip. When the opportunities present themselves, it’s important to take advantage of them; after all, as aging progresses, the window for travel starts to close. One major mistake many retirees make is spending too much money within a few years of retirement. It’s an easy mistake to make; for decades, there has always been a steady stream of income, and much of your lifestyle has been based on this expectation. However, spending too much, too soon can severely impact the savings you’ll have left to generate income for the rest of retirement, leaving you without the means to live on later in life. By setting a budget plan early – and sticking to it – it’s easier to strategize and spend appropriately. When retirement is looming, it’s only natural to want to speed up the process. Unfortunately, many people move a little too quickly, leaving the workforce too soon. An early retirement is an option for those with significant savings, but for individuals without a good plan, saying goodbye too soon can be extremely disadvantageous. An early retirement means early access to retirement funds, which can also mean tapping into Social Security too soon. When assets are depleted ahead of schedule, you could find yourself with no income and no savings far earlier than anticipated. The top retirement regret for individuals at all income levels is largely the same: not saving enough money. When it’s time to retire, all of the income streams you have relied upon for decades will cease, leaving you only social security coupled with what you saved to live on. If this sum isn’t enough, it won’t last you through the later years of life, significantly impacting quality of life, medical care standards, and living arrangements. Even if you can’t wait to retire, working a few extra years or taking a phased approach to retirement can be the difference between world travel and a penny pinching lifestyle. 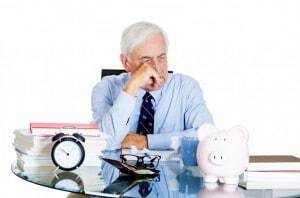 Retirement is something to look forward to at the end of a long career, but without proper planning, you may find your golden years fraught with disappointment. By taking a lesson from these top retirement regrets, you can plan ahead now to ensure you have the best retirement possible, no matter where life takes you.